Thank you for taking a moment to complete my survey. 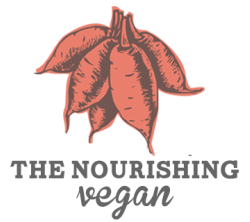 Your responses are invaluable in helping me create an amazing Spring Vegan Challenge. The challenge is scheduled to begin at the beginning of April. More details will be available next week! Please enjoy this exclusive Green Smoothie Guide (download below photo). Cheers to health, happiness & nourishment! p.s. If you would like some accountability & support now, I invite you to schedule a complimentary "Healthy in 2013" Strategy Session with me. I will help you get clear on your health goals, and together we can create a plan for you to attain them. Click here to schedule your complimentary session.